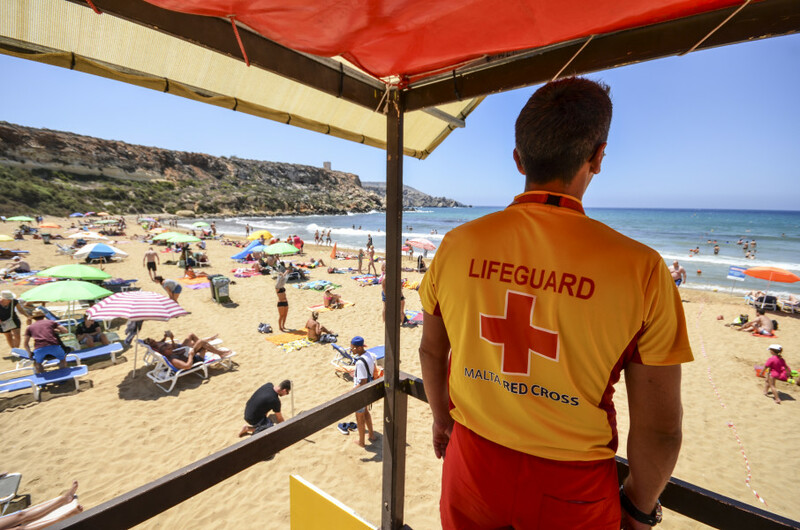 Lifeguard supervision at Golden Bay Malta is provided. Grab something nice to eat and a cold drink at the local kiosk or restaurant. There are parking spaces available in the vicinity. There are public restrooms close by at the Beach. © viewingmalta.com Golden Bay is popular with tourists and locals alike. 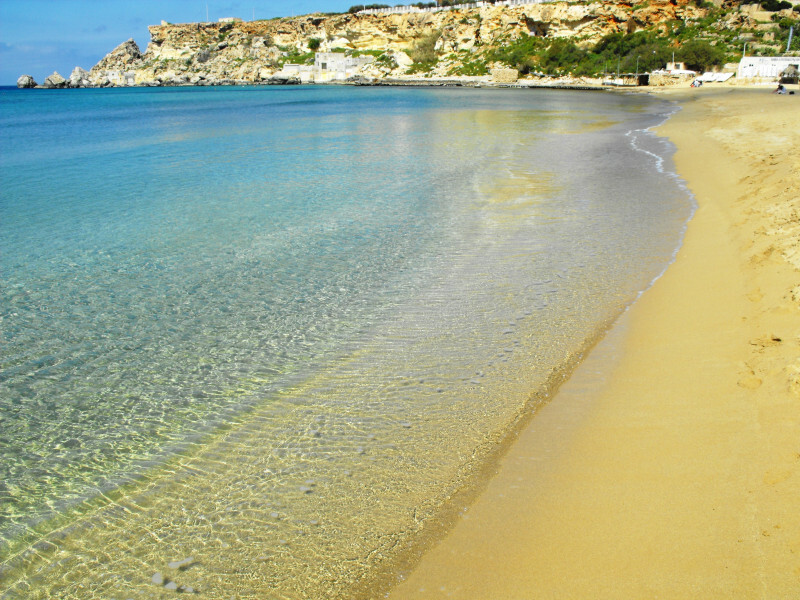 Golden Bay is not only Malta's second biggest sandy beach, it is also one of the most popular. Despite, or maybe because of its secluded location, tourists and locals alike come here every summer to enjoy the seaside. 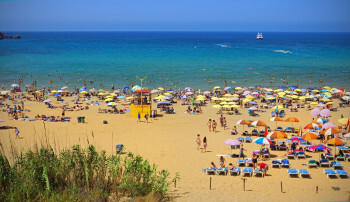 Nevertheless, the widespread beach has still kept some of its natural charm. Thanks to its size, the bay is a great place for various types of holiday-makers to come together without getting in each other's way. 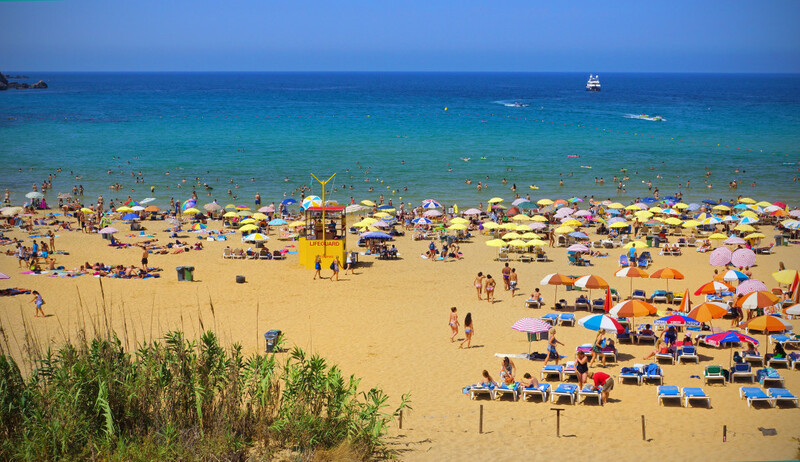 Families with children will appreciate the flat acces to the sea, but recovering party-goers as well as sun worshippers looking for a chill day at the beach feel just as at home here. Golden Bay is also known for its beautiful sun sets. Hence, it is a popular location for barbecues and beach parties. © viewingmalta.com / Jürgen Scicluna / MTA Life guards take care of your safety while you enjoy the beach. If you want to get moving, Golden Bay features a great variety of watersports. From boat rental and diving classes to surfing, jet ski, or paragliding, there is something for everyone. Looking for some peace and quiet? 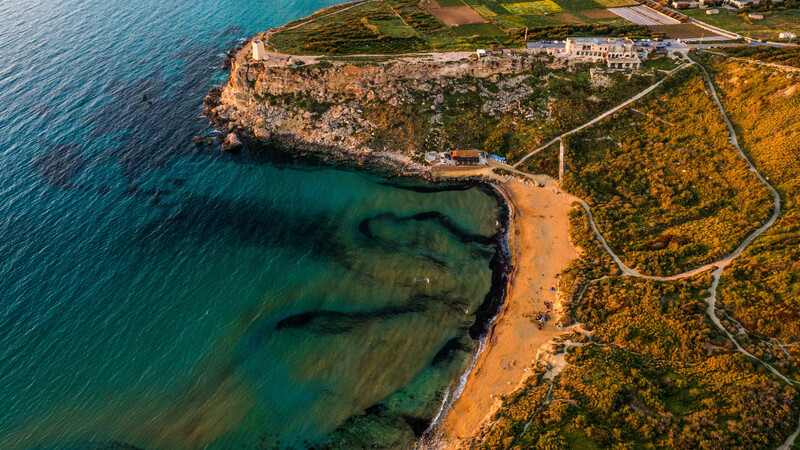 Only a few minutes' walk away you can find Għajn Tuffieħa, a considerably smaller and virtually untouched bay that is definitely worth a visit. © viewingmalta.com / Clive Vella Its beautiful sun sets make the bay a great spot for barbecues and beach parties. 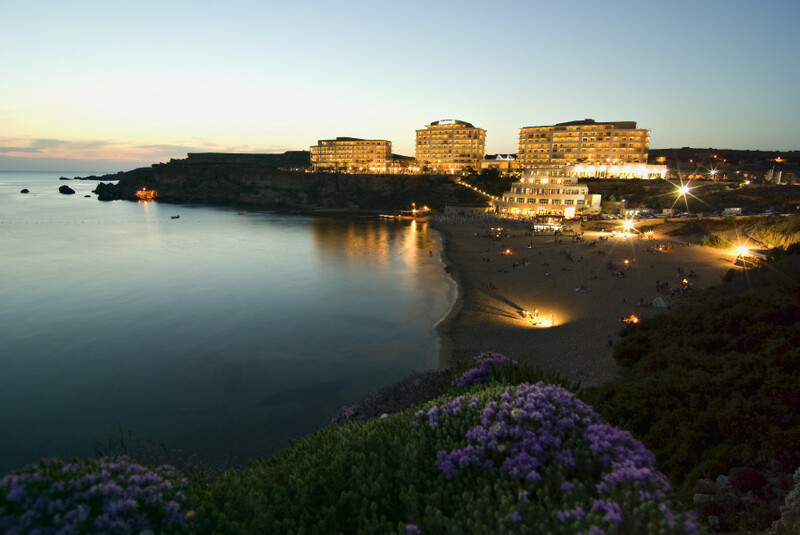 Golden Bay is located outside of the surrounding towns in Malta's north west. If you have access to a car, the easiest way to drive is by letting your GPS lead you to the only hotel by the bay, Radisson Blu Golden Sands. Two public car parks are available by the beach. Some busses only go once an hour. Busses get very full, especially in the evening, so leaving a bit early can be a good call.